dogs that sustain injuries, are pregnant or unable to find homes, most are less than five years old. Many of these dogs are disposed of in the most 'economical' way - by bolt gun. 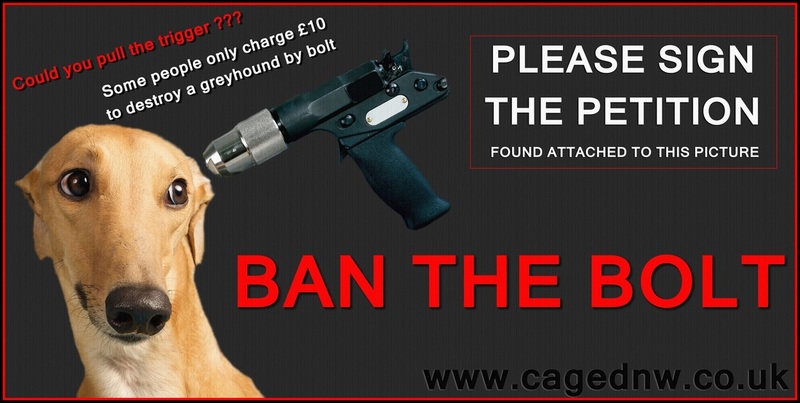 Under existing UK legislation, any person can use a bolt gun to destroy a greyhound, if they are the legal owner. 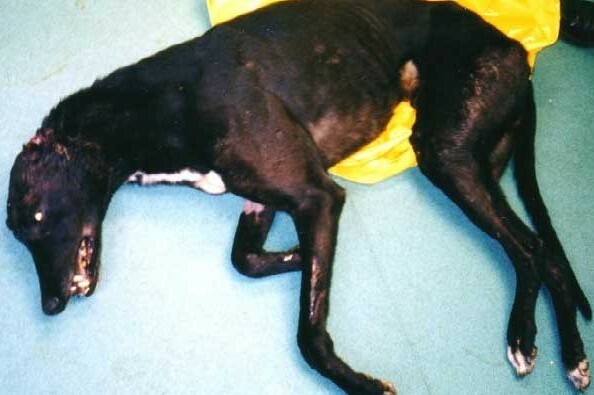 Attempted destruction of greyhounds by bolt has resulted in innocent dogs being left to suffer in agony for hours, before being found and taken to a veterinary surgery to be finally put to sleep by lethal injection. These dogs should at the very least be entitled to a humane death. Destruction of greyhounds should only be performed by use of intravenous euthanasia, administered by qualified veterinary surgeons. Following the controversial use of bolt guns by RSPCA inspectors a few years ago, the RSPCA requested the Royal College of Veterinary Surgeons (RCVS) comment on their review of its 2004 euthanasia rules and guidelines. In April 2010 the RCVS announced that use of the captive bolt guns on dogs was inappropriate. Defra have the power to end this cruel practice so we are calling on them to immediately abolish the use of captive bolt guns to destroy greyhounds in the UK. ﻿Below is a statement that a Caged North West representative has received from Timothy Ingham, the very kind vet who had to euthanise Rusty after he was a victim of terrible abuse and where... the captive bolt gun was used and had gone horribly wrong, leaving poor Rusty to suffer terribly. I'm happy for you to give my opinion on the use of captive bolt pistols in general. Personally I think they are generally a very unsuitable method for euthanasia in dogs, especially when used by lay people. Dogs may not be rendered unconscious if the dog moves as the weapon is discharged, or if the weapon is positioned incorrectly. Also, even if the dog is rendered unconscious it may regain consciousness unless further action (ie pithing - destruction of the brain with a rod, or exsanguination - bleeding the animal) is instigated. The case I witnessed involved a dog that may well have been transiently stunned and regained consciousness, or never lost consciousness. That dog suffered unnecessarily for a very prolonged period. I have no doubt that this method of euthanasia by lay people should be banned immediately. Also I am not persuaded that anyone should be using this method to euthanase dogs unless there is absolutely no other method available and an animal is suffering unnecessarily. Audrey Fearn has 36 years of veterinary experience. As a veterinary surgeon with 36 years of experience in companion animal practice, I find it very hard to understand why the use of the captive bolt for killing greyhounds is allowed at all, never mind by people untrained in it’s use. It has such a massive capacity for misuse, either through lack of care or lack of experience, potentially leading to dreadful injury and pain. I believe it should never be used for this purpose. If euthanasia is necessary it should be performed by a veterinary surgeon using a painless barbiturate injection giving a quiet death. Caroline had 15 years of veterinary experience and is the Green party spokesperson on Animal issues. I cannot begin to imagine how the use of a captive bolt can be justified in small animal patients, including in aggressive dogs. I have unfortunately had to euthanase a number of aggressive dogs and I've treated others. It is simply not possible to get close enough to the head to use a captive bolt, even if I did believe this was a humane technique- which I do not and nor does my professional body the RCVS. The C.A.G.E.D 'Ban the Bolt' document was filed within a 10 page report produced by Greytexploitations & presented to the House of Commons on the 3rd September 2013. Air your concerns about the Captive bolt gun being used on dogs by sending the below letter to your MP today!!! "Letter to send to your MP"
"Just add your name and MP's name prior to sending"
I am contacting you with regard to the use of the Captive bolt gun and the legislation which allows its use for the destruction of dogs in the UK. I am concerned that the Captive bolt gun is NOT used in the best interest of all animals, as in many cases its use is preferred for the destruction of dogs solely due to its being more economically viable for an owner seeking to avoid the expense of appointing a veterinary surgeon to administer an overdose of barbiturates. According to Defra, a person using a Captive bolt gun does NOT have to be trained or licensed in its use. Caged Northwest “Ban the Bolt” Campaign has brought the following information to my attention: Knackers yards are permitted to destroy healthy Greyhounds by use of bolt. In 2006 Mr David Smith from Co. Durham killed around 10,000 dogs by using the bolt gun at a cost of £10 per dog. He was not charged other than for breach of waste regulation. Caged Northwest www.cagednw.co.uk will gladly provide you with details of this case on request. No new legislation has been introduced to prevent this from happening again. The quotation below is taken from page 121 of the RCVS Council papers . The issues which I have highlighted cause me great concern and support my view that the bolt gun is inhumane for the use on dogs. The UK does not have a shortage of veterinary surgeons who can euthanise dogs humanely. I would therefore urge you to take action to ensure that appropriate legislation is put in place which will prevent dogs being killed by bolt guns. 29. The Chairman welcomed Dr Alistair MacMillan, Chief Veterinary Officer for the RSPCA. There were tabled letters from those campaigning against the RSPCA use of captive bolt guns. Dr MacMillan indicated that the RSPCA carried out the euthanasia of many animals each year, mostly wild animals. He said that last year the RSPCA killed a small number of dogs using captive bolt guns and ten of these related to an incident in Wales concerning German Shepherd dogs, which had resulted in a campaign against the RSPCA. He said the RSPCA had commissioned a review by an expert on slaughter methods and the captive bolt gun had been shown to be humane. 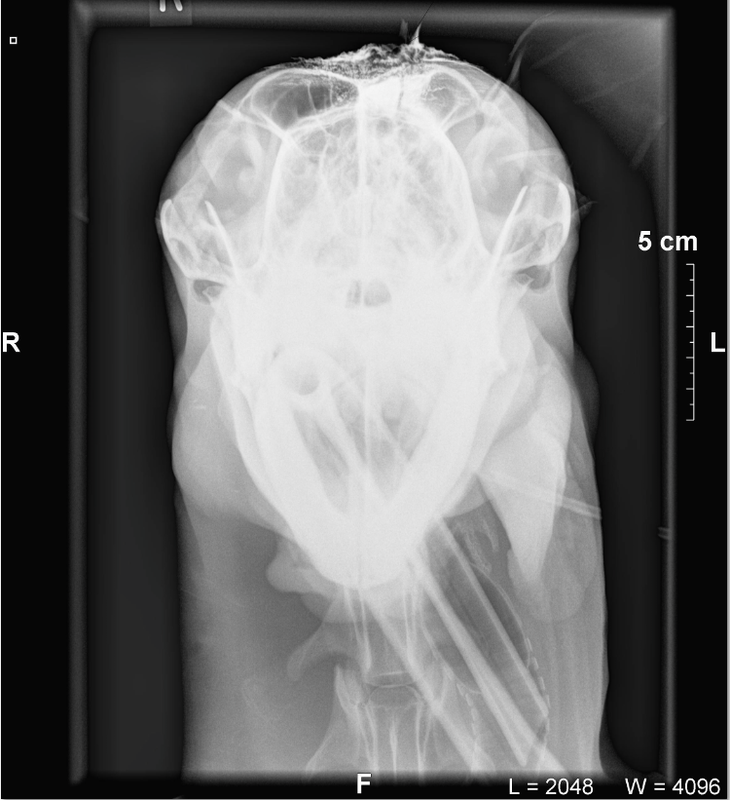 Dr MacMillan indicated the RSPCA intended to continue using captive bolt guns, but only in those rare circumstances where it is the most appropriate and humane method. G) there are RSPCA inspectors who carry a supply of Euthatal for the euthanasia of small animals. H) for the small number of dogs killed by captive bolt gun, it would be better to have veterinary surgeons carry out the euthanasia. bolt guns to kill companion animals or render them insensible. However, it was commented that, in slaughterhouses, captive bolt guns were used to kill a large number of farm animals. It was also suggested that there had been relevant research in the 1940s and there was knowledge on the use of captive bolt guns on smaller animals from the Foot and Mouth Disease outbreak in 2001. There was general agreement that it was a method of euthanasia for small animals that was unlikely to be acceptable to the public. 32. The Committee decided the euthanasia of smaller species by captive bolt gun is inappropriate, indicating that rendering insensible and pithing an animal is unlikely to be acceptable to the public; and that there was insufficient evidence to be sure a smaller animal will be killed by a captive bolt gun without pithing. In addition, throughout the UK there are veterinary surgeons available with appropriate medicines to carry out the euthanasia of smaller animals, in appropriate circumstances. 33. It was agreed the RSPCA should be informed of the Committee’s views.
' Although widely used and accepted as a stunning procedure for the slaughter of large livestock species, this method is generally considered inappropriate for dogs and cats (European Food Safety Authority, 2005). The penetrative captive bolt pistol must be placed in contact with the animal’s skull and precise positioning is essential so that the bolt penetrates the correct area of the brain first time. Animals must be adequately restrained so that the head remains steady (Carding, 1977; Dennis et al., 1988; Beaver et al., 2001), which makes this method particularly difficult with fearful and aggressive dogs and cats (Carding, 1977). Want to help "Ban the Bolt" on dogs? contact us by email at info@cagednw.co.uk to apply for forms by post. Please do not email or post these forms to vet surgeries. All forms can be returned to the PO Box address shown at the bottom of the form. The form is specifically created for only vet staff to sign. The RSPCA and other organisations recently created a petition in favour of the bolt gun being used in slaughterhouses. CAGED believe this petition may 'mislead' people into believing the Captive bolt gun or stun gun will stop animals suffering in slaughterhouses.